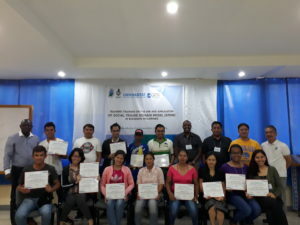 XSF-ANGOC-GLTN conducts STDM orientation and trainer's training - Xavier Science Foundation, Inc.
Xavier Science Foundation, Inc. (XSF) in its vision to reduce poverty in Mindanao has partnered with the Asian NGO Coalition (ANGOC) and Global Land Tool Network (GLTN) to implement the project titled “Improving Tenure Security of Smallholder Farmers in Select Areas in the Philippines”. 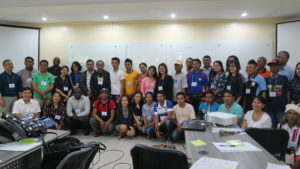 With this, the collaboration kick-started with an orientation held on October 10, 2018 at the SouthEast Asia Rural Social Leadership Institute (SEARSOLIN) where Local Government Unit (LGU) Officials headed by Honorable Mayor Vergito Factura of Talakag, Bukidnon, Tribal Leaders of partner Indigenous Peoples Organizations (IPO) namely Portulin Talaandig Tribal Association (PTTA), Nagkahiusang Manobong Manununod sa Yutang Kabilin (NAMAMAYUK) and Miarayon-Lapoc-Lirongan-Tinaytayan Talaandig Tribal Association (MILALITTRA) and local members participated and learned in depth the objectives of the project. In subsequent days, the trainer’s training on Social Tenure Domain Model (STDM) was facilitated to (1) improve the understanding of participants on a number of pro-poor and gender-responsive land tools and approaches developed by GLTN; (2) provide practical hands-on experience and skills through training on participatory enumeration and STDM; (3) formulate an action plan for the training of enumerators and implementation of the tools. Fourteen (14) individuals learned through the use of the STDM as a concept, model and information tool. 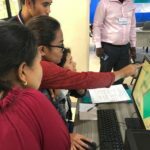 They were taught to capture images and create formats to initialize social tenure relationships using the Geographic Information Systems (GIS). The STDM as a concept empowers the local communities to have active roles in their quest of tenure security as well as food security and poverty alleviation. It is the hope of XSF that everyone will be responsible and be ‘part of making a difference in the lives of their own communities.’ The trainees received their coveted certificates as they continue onwards to the journey of learning and knowledge sharing with one another.